I love being able to help out businesses/people regarding branding, advertisements, packaging, layouts, photo editing, drawing, creating ideas, creating unique personalized gifts, helping you when you have a fashion crisis, flyers, illustration, doing my little sister’s school project/assignments, making designs for the church..etc. which is pretty neat! But there are also times that I hate being one. 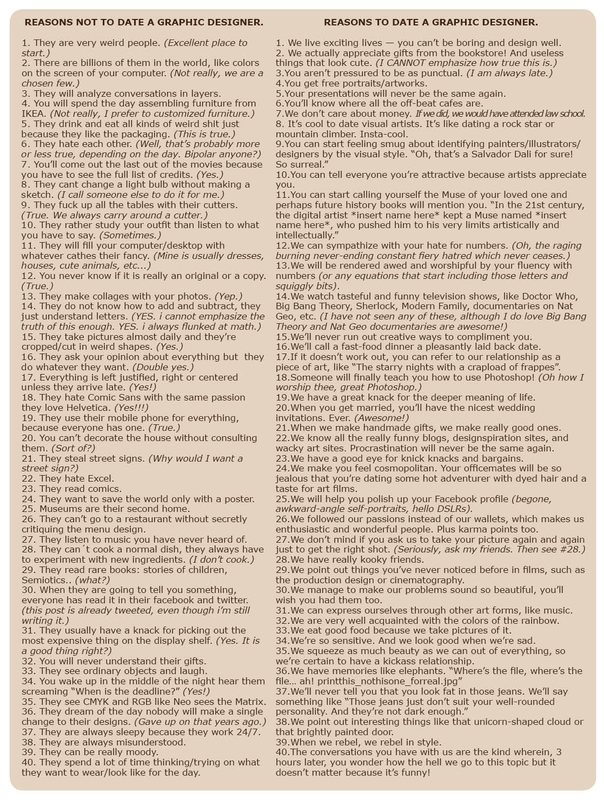 I also found a list of why you should and should not date a graphic designer from the internet and found it hilarious! I tweaked it and made my version. The real lists can be found here: Do not date a graphic designer & Date a graphic designer. *We can still add more to the list. Let me know what you would like to add. But, with great power comes great responsibility. 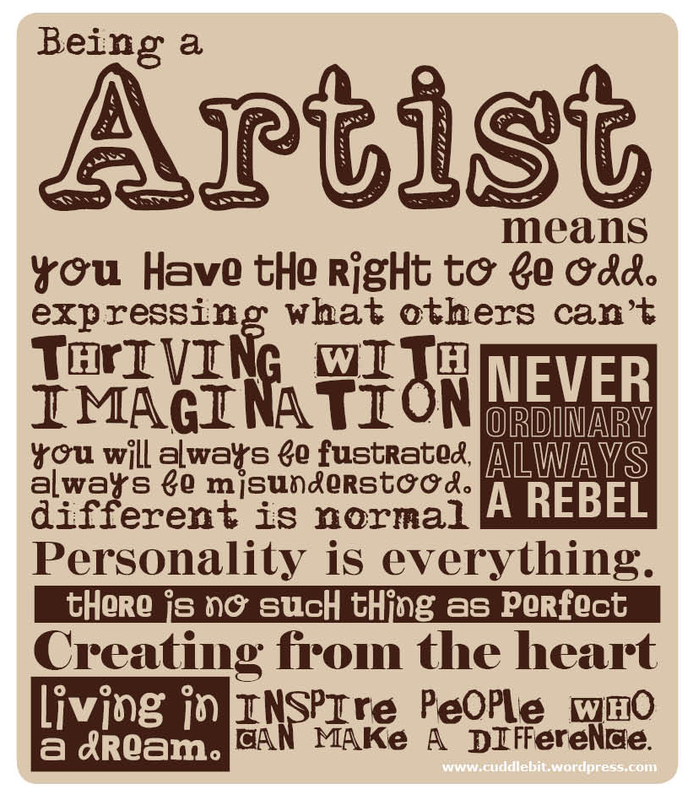 It is awesome being an Artist. Categories: crafts, fashion, food, life, Uncategorized | Tags: artists, artwork, being a graphic artist, creative, deadlines, free, graphic artist, graphic design, graphic designer, invitations, layout, lists, packaging, personalized gifts, photoshop, portrait, reasons not to date a graphid designer, reasons to date a graphic designer, responsibility, weird, work | Permalink.